The government’s reply came as the tribunal resumed hearing in the treason case against the former president for suspending the Constitution in 2007 by imposing emergency. 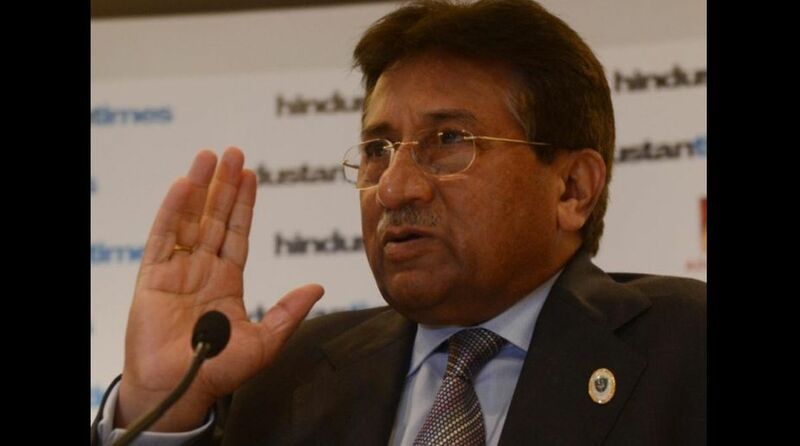 The Interpol has rejected Pakistan’s request to arrest General Pervez Musharraf as it does not want to interfere in cases of political nature, the government today informed a special court hearing the high treason case against the former military dictator who is now in Dubai. Gen. (retd) Musharraf, 75, was indicted in the case in March 2014 after he appeared before the court and rejected all charges. Interior Secretary Yousuf Naseem Khokhar in his reply on efforts to bring Musharraf back to the country informed the court that a letter was written to Interpol to issue a Red Warrant. But it returned the letter by refusing to interfere in cases of political nature. Khokhar appeared before a two-judge bench headed by Lahore High Court Chief Justice Justice Yawar Ali and comprising Sindh High Court’s Justice Nazar Akbar which heard the high treason case against Gen. Musharraf. “The government had approached Interpol to bring back Musharraf, Gen. however, they rejected the request,” the interior secretary said. “Interpol officials had said that the high treason case does fall under their legal ambit,” he was quoted as saying by Geo News. To this, the court asked the interior secretary to submit Interpol’s reply to the court. On August 20, the special court in Islamabad had summoned the interior secretary over non-arrest of Gen. Musharraf in the case despite issuance of non-bailable warrants against him. Adjourning the case till September 10, the court today ordered that during the next hearing arguments be given over whether Musharraf’s statement can be recorded via Skype or the investigations can move forward without it. Gen. Musharraf left Pakistan for Dubai for medical treatment on March 18, 2016 with a commitment to come back. He managed to go abroad after his name was removed from the Exit Control List on the orders of the Supreme Court. Gen. Musharraf, the former army chief, has rejected all charges. His lawyer Akhar Shah said that the former president could not appear in person due to security reasons. He also said that Gen. Musharraf’s health was not good and was not allowed by the doctors in Dubai to travel. Shah said that Gen. Musharraf will appear before the court if the president-level security was provided to him. The previous Pakistan Muslim League-Nawaz government had filed the treason case against Gen. Musharraf over the imposition of extra-constitutional emergency in November 2007. The case was launched in 2013 and Gen. Musharraf was subsequently indicted but he left for Dubai on March 2016 for medical treatment. Gen. Musharraf took power in 1999 by toppling the government of prime minister Nawaz Sharif and ruled until 2008 when he was forced to step down.